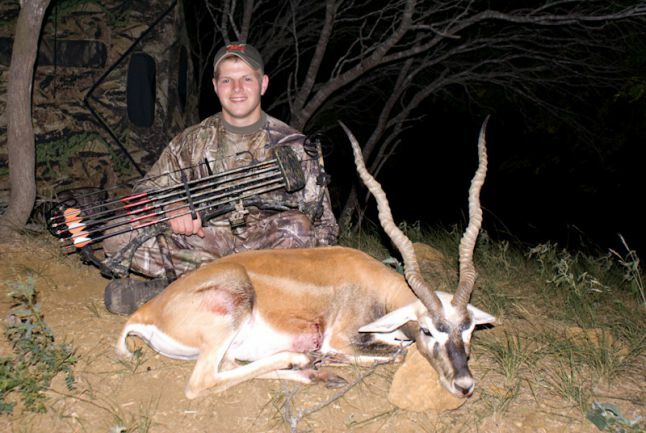 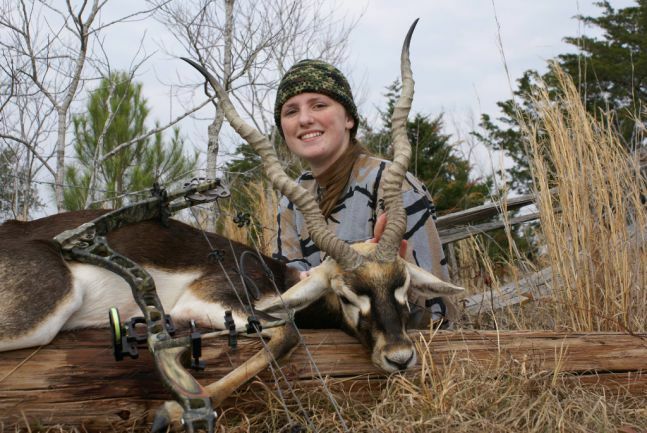 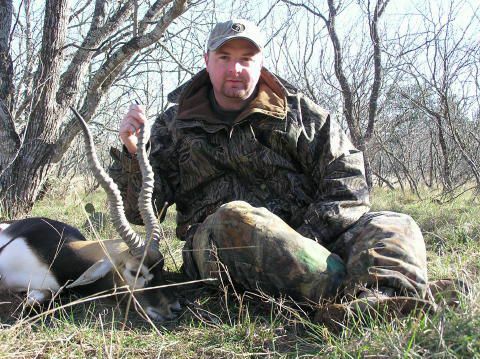 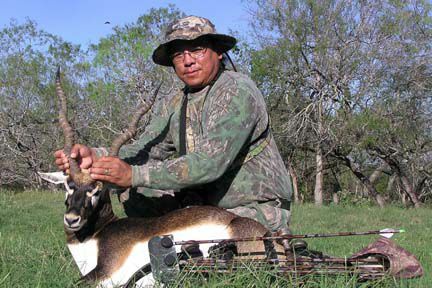 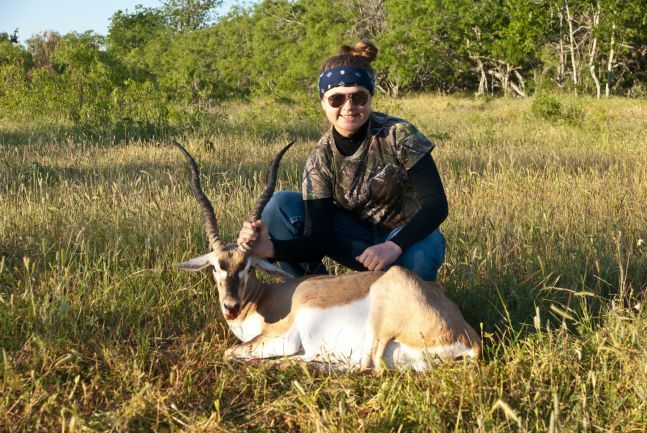 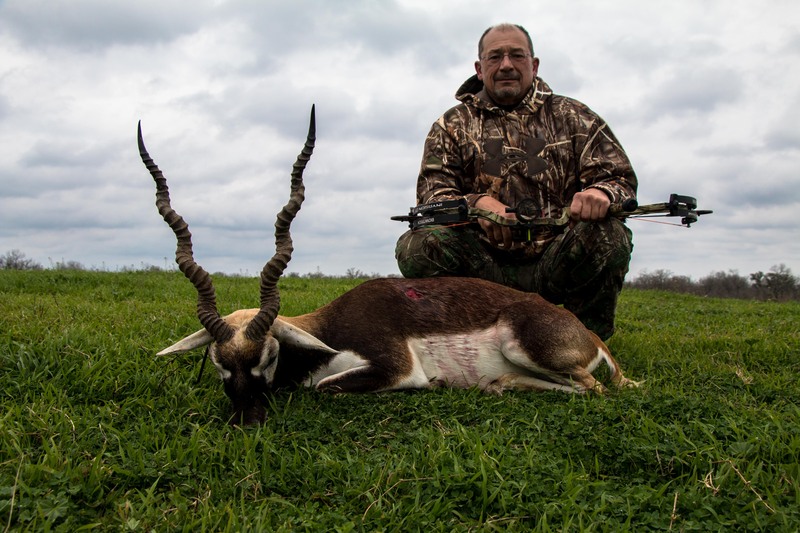 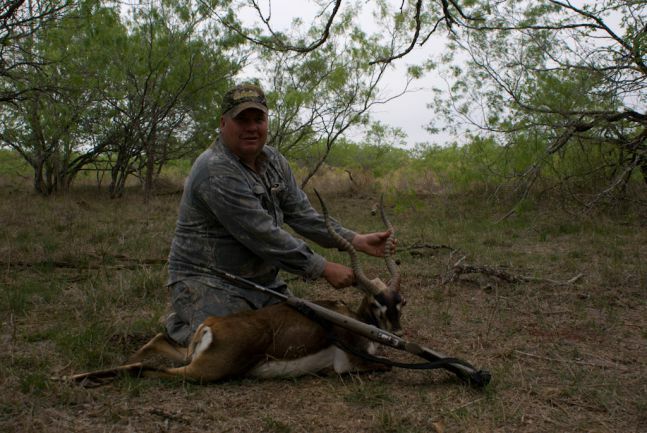 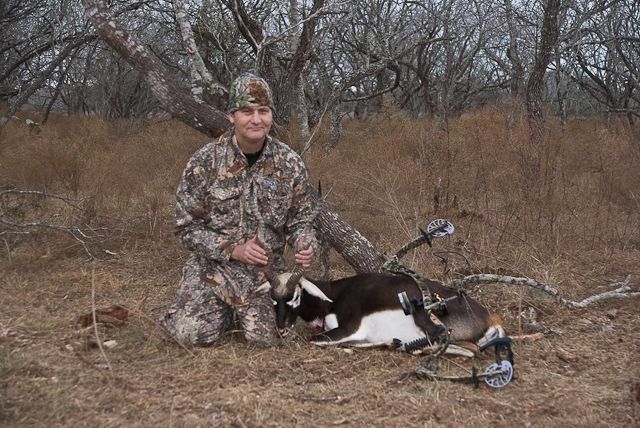 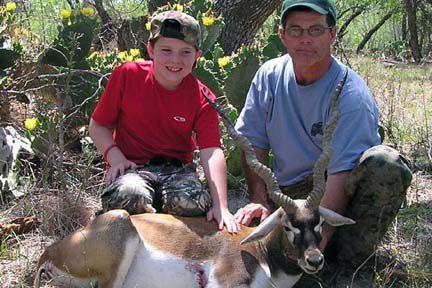 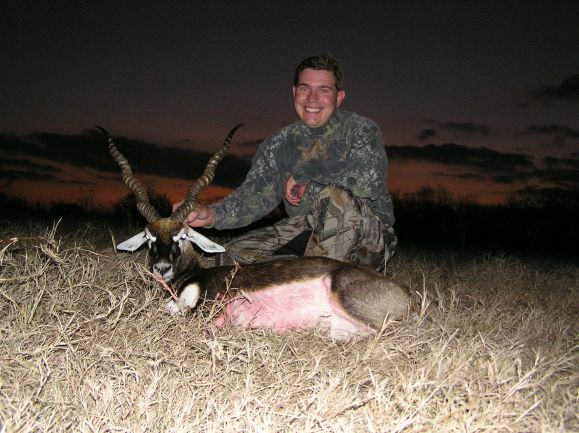 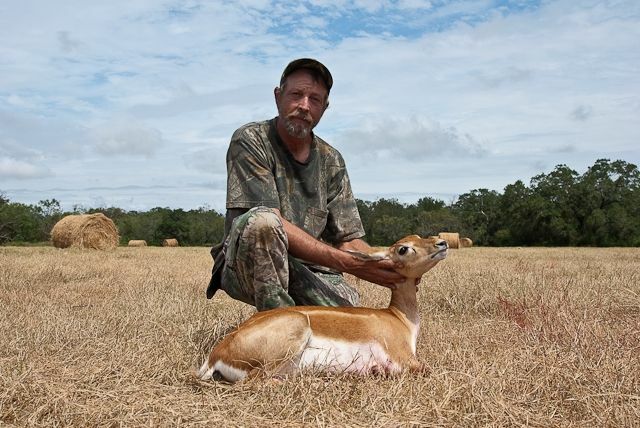 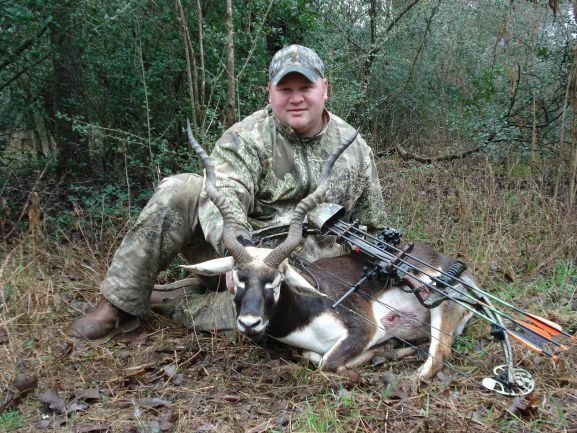 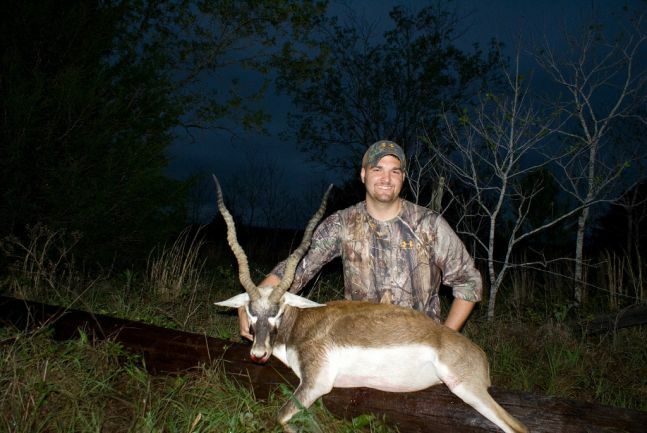 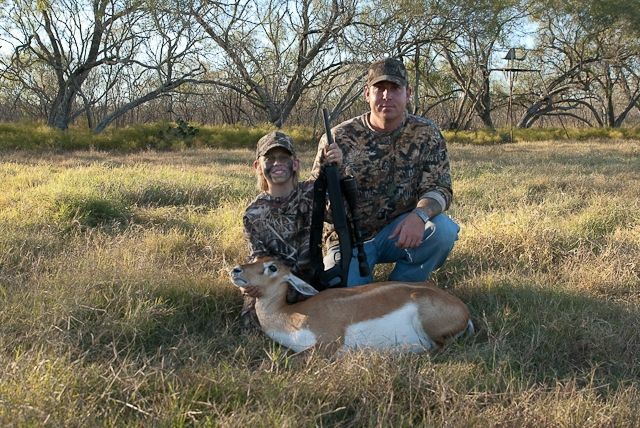 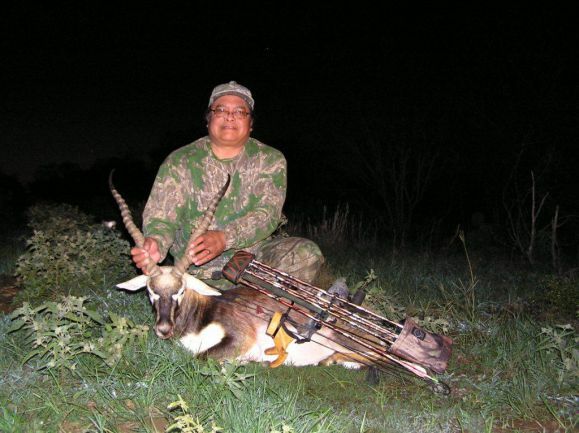 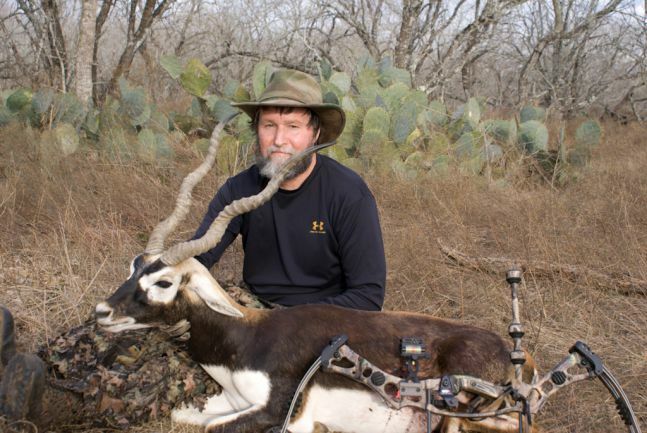 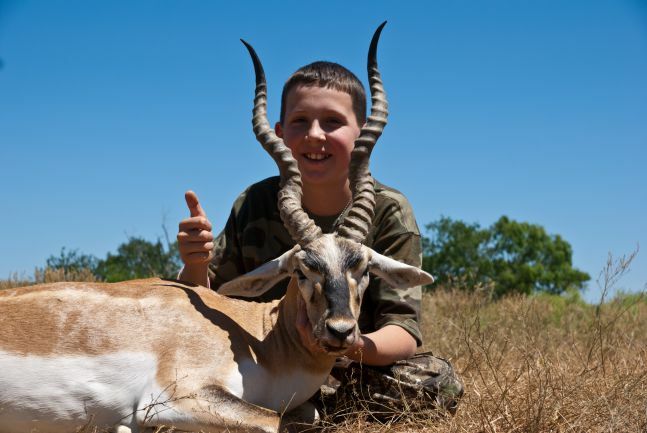 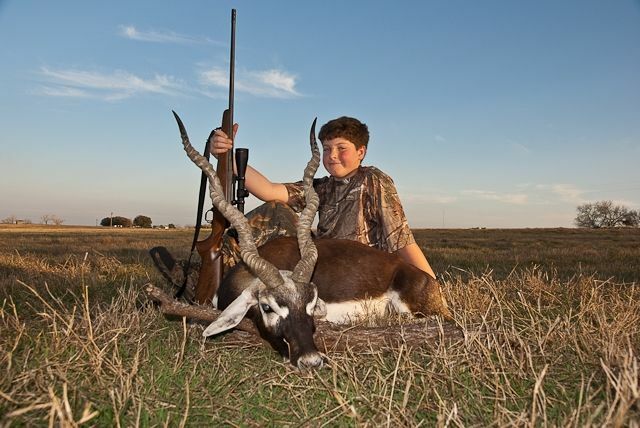 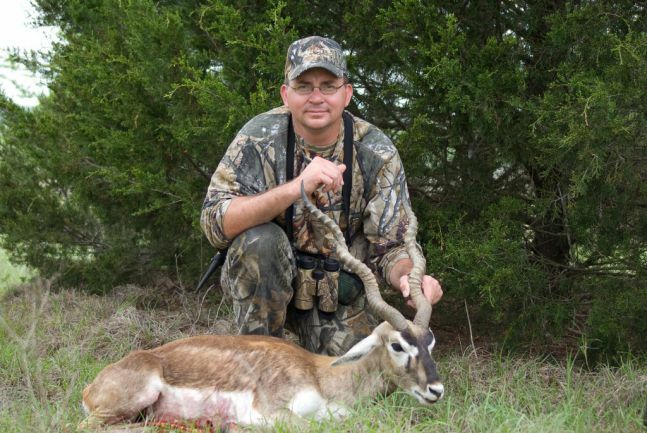 Blackbuck hunting is one of the most exciting exotic bow hunts available at Double Arrow Bow Hunting and our most popular bow hunt. 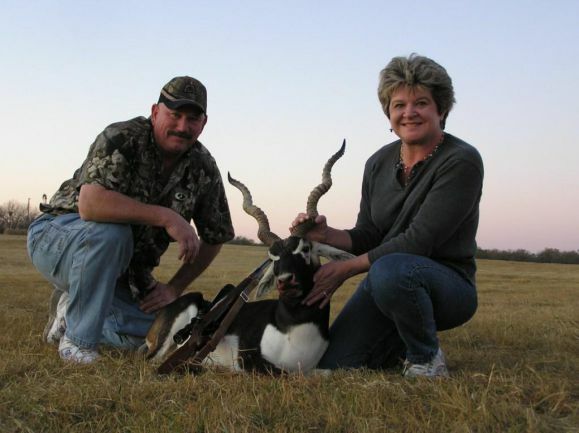 Originally from India, blackbuck antelope provide beautiful trophies with trophy horns ranging from 18″ – 22″ and a rich, dark black coat. 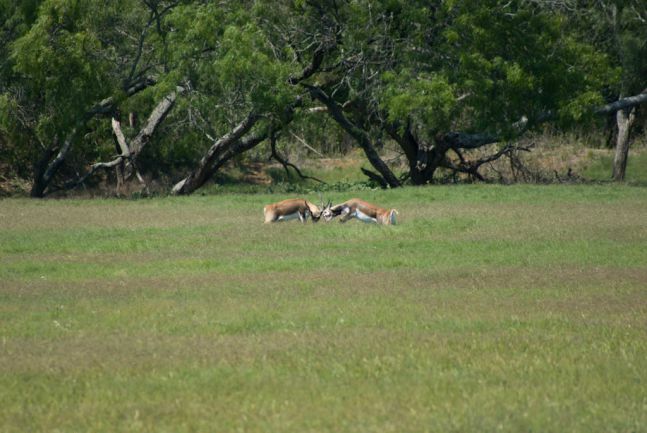 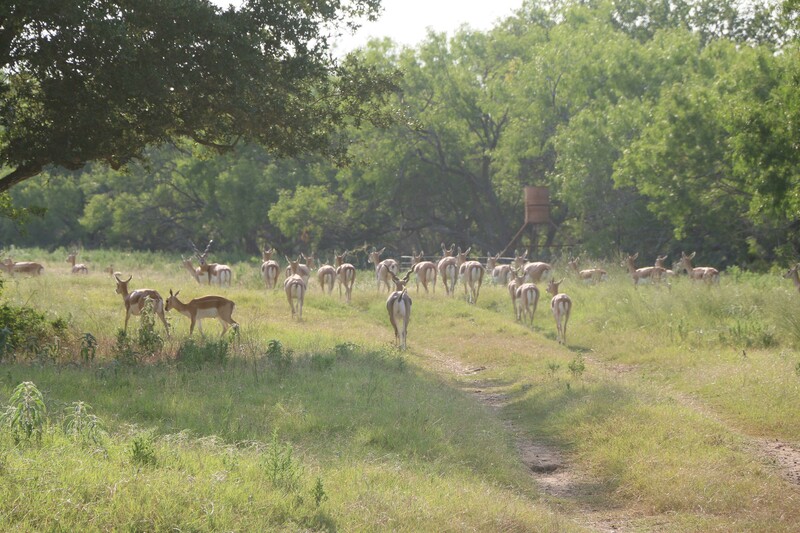 Our blackbuck herd is spread through out the ranch providing many hunts from various stands. 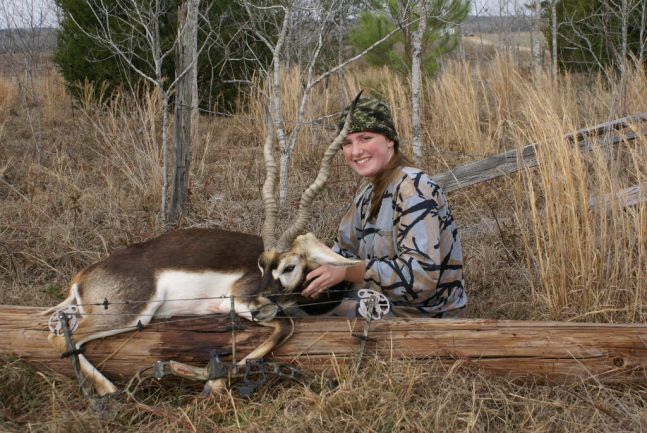 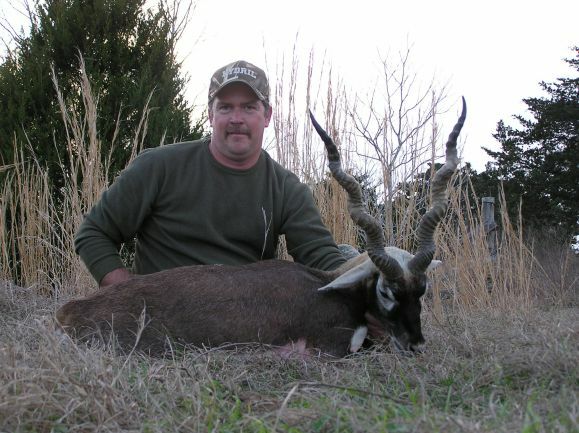 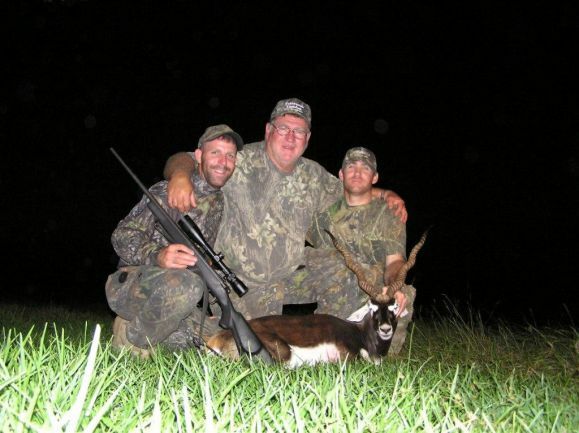 Record book trophy blackbuck starts at 18″. 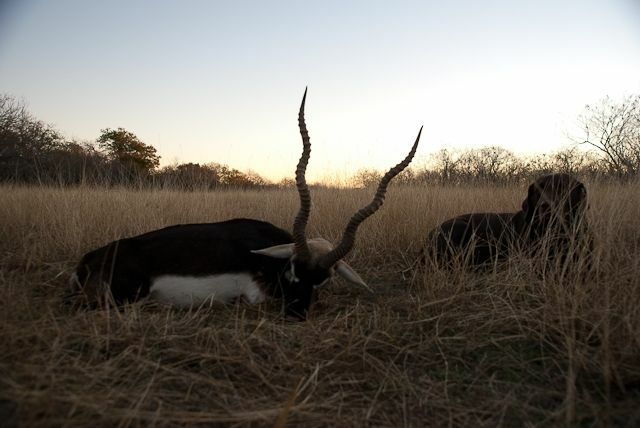 Rest assured you will have plenty of opportunities for trophy blackbucks! Blackbuck hunting is typically done from a ground blind providing the bow hunter the best chance to make a shot on one of these beautiful exotic antelope. 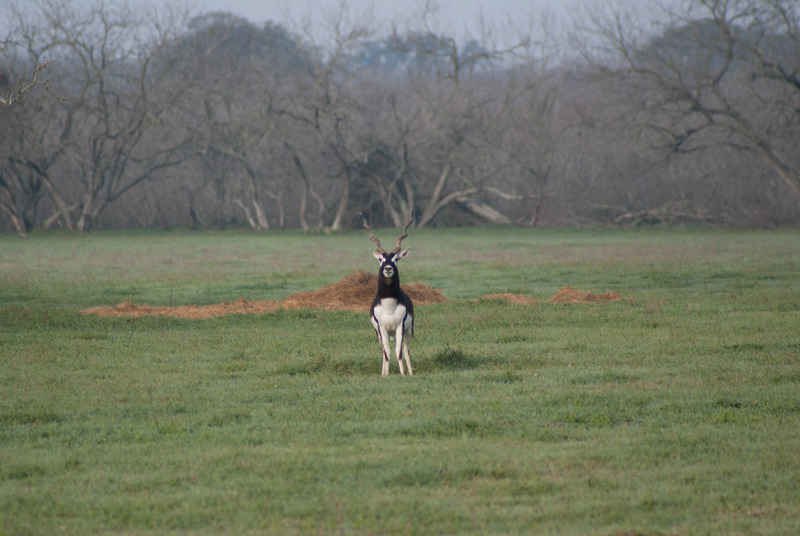 Mature blackbuck males will weigh about 100-120 lbs. 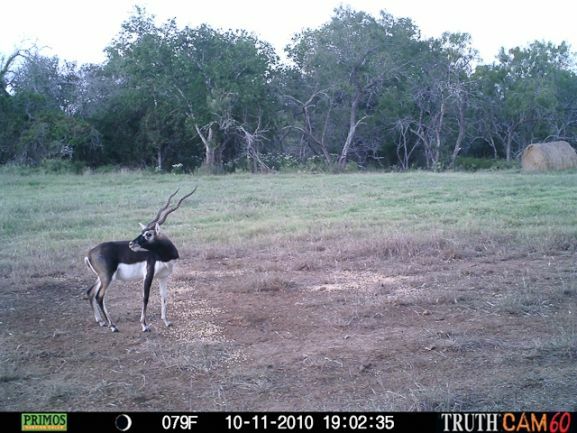 and does will weigh about 65-85 lbs. 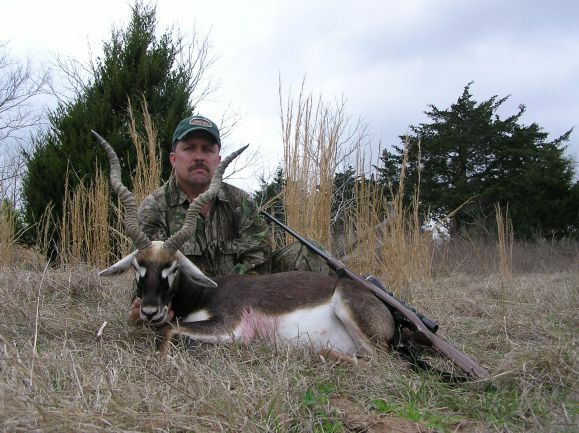 Without the use of the ground blind hunting blackbuck antelope is extremely difficult because of their keen eyesight. 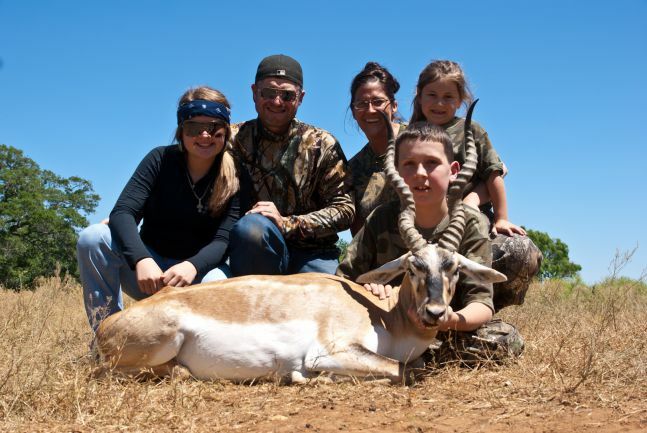 They have extremely good eye sight and hearing. 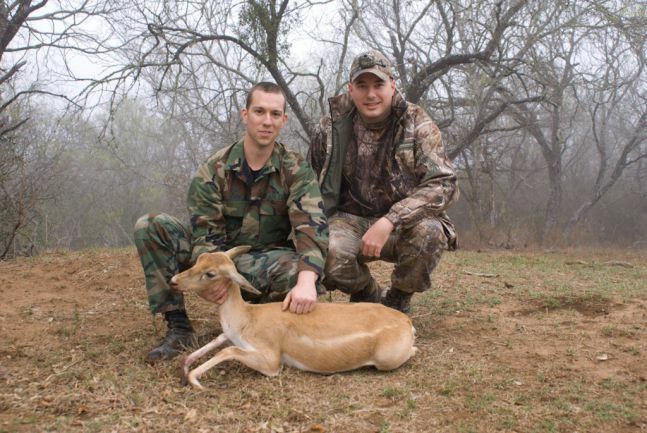 They are considered an thin-skin game animal and vitals are farther forward than whitetail deer. 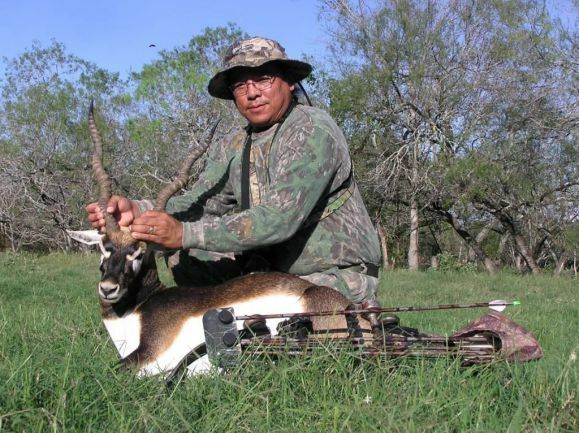 It is possible for a bow hunter to have opportunities past 40 yards on a blackbuck hunt, but our blind set ups are in ranges of 20-30 yards to help increase the success rate. 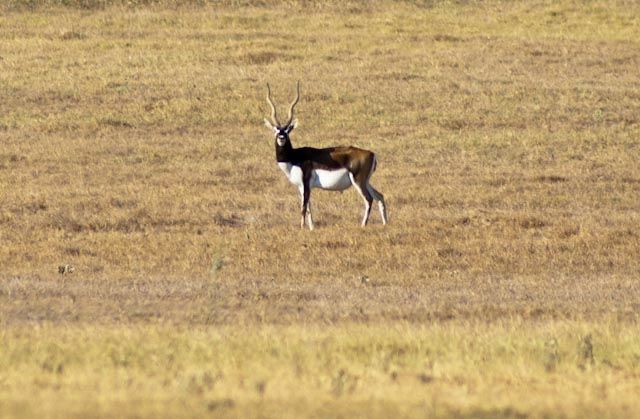 Blackbuck are constantly moving, chasing does, and often do not stop for a long period of time. 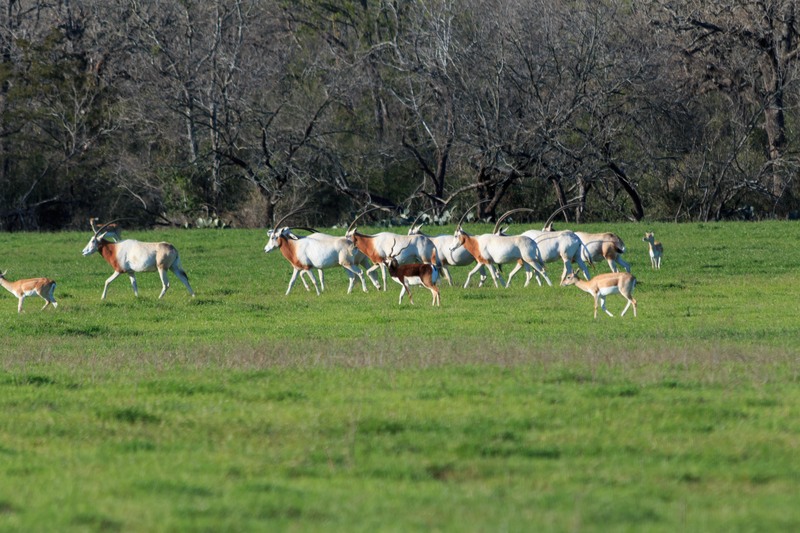 They are a herd animal that prefers protection in numbers to watch from predators. 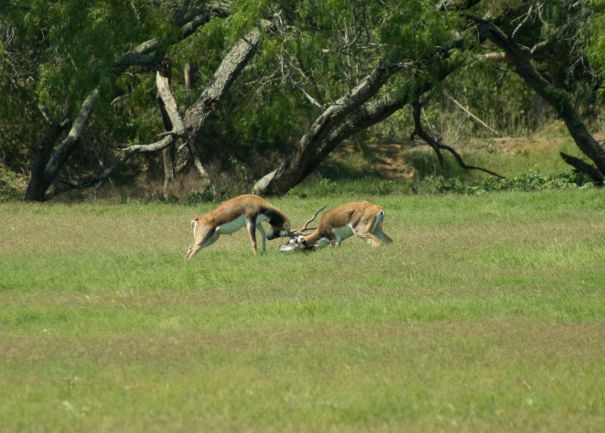 The dominate males are constantly tending the does. 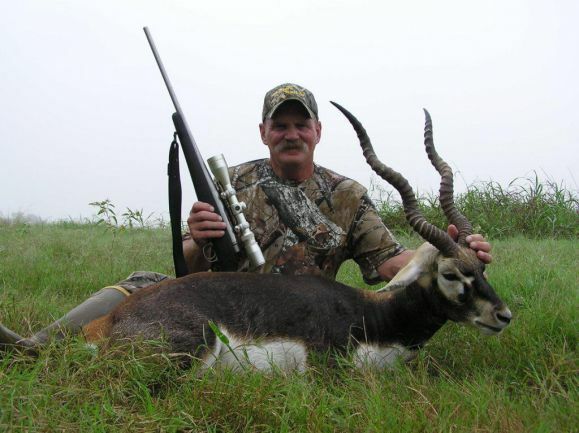 Its these characteristics that make the blackbuck antelope one of the most popular exotics to bow hunt.